T-25 Zephyr Torx power drive bit, 1/4'' hex shank, 3 1/2'' overall length. Torx fasteners are becoming more and more common in automotive and appliance assembly. Zephyr Torx bits are made from high quality tool steel and are constructed to perform in demanding environments. T-10 Zephyr Torx power drive bit, 1/4'' hex shank, 1 15/16'' overall length. Equivalent to Apex 49-TX-10. T-15 Zephyr Torx power drive bit, 1/4'' hex shank, 1 15/16'' overall length. Equivalent to Apex 49-TX-15. T-20 Zephyr Torx power drive bit, 1/4'' hex shank, 1 15/16'' overall length. Equivalent to Apex 49-TX-20. T-25 Zephyr Torx power drive bit, 1/4'' hex shank, 1 15/16'' overall length. Equivalent to Apex 49-B-TX-25. T-27 Zephyr Torx power drive bit, 1/4'' hex shank, 1 15/16'' overall length. Equivalent to Apex 49-C-TX-25. T-10 Zephyr Torx power drive bit, 1/4'' hex shank, 2 3/4'' overall length. Equivalent to Apex 49-A-TX-10. T-15 Zephyr Torx power drive bit, 1/4'' hex shank, 2 3/4'' overall length. Equivalent to Apex 49-A-TX-15. 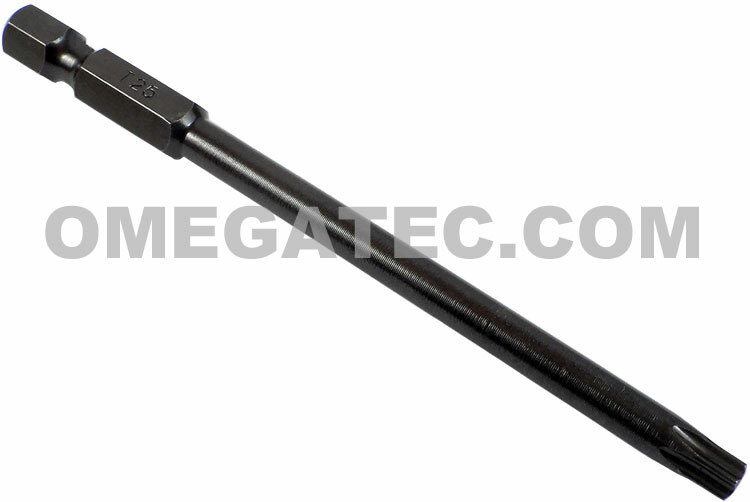 T-20 Zephyr Torx power drive bit, 1/4'' hex shank, 2 3/4'' overall length. Equivalent to Apex 49-A-TX-20. T-25 Zephyr Torx power drive bit, 1/4'' hex shank, 2 3/4'' overall length. Equivalent to Apex 49-B-TX-10. 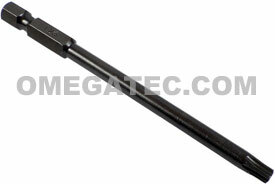 T-27 Zephyr Torx power drive bit, 1/4'' hex shank, 2 3/4'' overall length. Equivalent to Apex 49-B-TX-15. T-10 Zephyr Torx power drive bit, 1/4'' hex shank, 3 1/2'' overall length. Equivalent to Apex 49-B-TX-10. T-15 Zephyr Torx power drive bit, 1/4'' hex shank, 3 1/2'' overall length. Equivalent to Apex 49-B-TX-15. T-20 Zephyr Torx power drive bit, 1/4'' hex shank, 3 1/2'' overall length. Equivalent to Apex 49-B-TX-20. T-27 Zephyr Torx power drive bit, 1/4'' hex shank, 3 1/2'' overall length. Equivalent to Apex 49-B-TX-27. T-10 Zephyr Torx power drive bit, 1/4'' hex shank, 6'' overall length. Equivalent to Apex 49-C-TX-10. T-15 Zephyr Torx power drive bit, 1/4'' hex shank, 6'' overall length. Equivalent to Apex 49-C-TX-15. T-20 Zephyr Torx power drive bit, 1/4'' hex shank, 6'' overall length. Equivalent to Apex 49-TX-20. T-25 Zephyr Torx power drive bit, 1/4'' hex shank, 6'' overall length. Equivalent to Apex 49-TX-27. T-27 Zephyr Torx power drive bit, 1/4'' hex shank, 6'' overall length. Equivalent to Apex 49-C-TX-27. The ZPT25X35 T-25 Zephyr 1/4'' Torx Power Drive Bits is one of thousands of quality tooling products available from MRO Tools. Please browse Zephyr Torx Power Drive Bits for tools similar to the ZPT25X35 T-25 Zephyr 1/4'' Torx Power Drive Bits. ZPT25X35 T-25 Zephyr 1/4'' Torx Power Drive Bits description summary: T-25 Zephyr Torx power drive bit, 1/4'' hex shank, 3 1/2'' overall length. Equivalent to Apex 49-TX-25. Quantity discounts may be available for the ZPT25X35 T-25 Zephyr 1/4'' Torx Power Drive Bits. Please contact MRO Tools for details.